Helpful Financial Resources...And I Don't Mean Oil. Helpful Financial Resources…And I Don’t Mean Oil. Good Morning Everyone and Happy July 4th! I hope you had a great long weekend; some of you may still be enjoying your long weekend. Today is the last post in our Fun Financial Tools for Twenty-Somethings Series. In case you missed any of our previous posts in this series you can find all of the links listed below. Today we are discussing Online Resources for Financial Beginners. There are several different Free Online Resources that are available to help us take an active interest in our personal finances such as Personal Finance Blogs and E-Books, as well as Free Online Calculators. The easiest way to find a helpful and resourceful Personal Finance Blog is to use a search engine. Many PF Blogs post content in a specific niche of Personal Finance such as Paying Down Debt, Building a Budget, Smart Investing, or Retirement Planning. Several PF Blogs also cater to a specific type of reader such as College Students, Homeowners, Young Married Couples, Moms and Dads, or Retirees. If you search one or two keywords based on your personal situation i.e. College Student, or a specific product that you are looking for such as Credit Cards for College Students, you are bound to stumble upon a handful of resourceful Personal Finance Blogs. One thing that is really great about the Personal Finance Blog community is that we really network and support each other. On (almost) every single Personal Finance Blog you will find links to posts on other PF Blogs or a Blogroll that lists our Favourite PF Blogs (other than our own of course). This will also help you find resourceful information online. Amazon and Kobo Books are both great resources to find helpful and informative Finance E-Books. Both websites have a search engine that allows visitors to search their specific financial topic of interest. Many Personal Finance Blogs also have a Category dedicated to their favourite E-Books or a Bookshelf that is dedicated to their favourite Personal Finance E-Books. 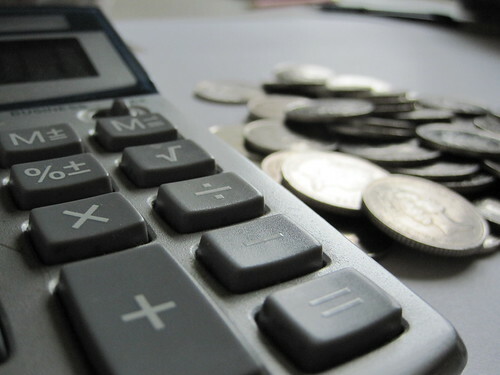 Most Financial Institutions offer Free Online Calculators to help us achieve our personal financial goals, plan a budget, or calculate interest costs. Very often we have to navigate onto a specific information page before finding a Financial Calculator; Free Online Calculators are not usually listed on the Home Page. As an example, if we want to find a Free Online Calculator that will calculate our monthly Credit Card payment to have it paid off in 2 years we may first have to visit the Personal Banking, Lending, or Credit Card page to find the Free Online Calculator. Don’t be afraid to surf around the web to find easy to use and helpful Free Online Calculators, trust me it will be well worth your time! I really like the Free Online Calculators from Experiglot. They offer a variety of Free Online Calculators that will help us calculate our Periodic Percentage Rate and our Tax Equivalent Yield. Experiglot also offers Free Online Calculators to change an Annual Percentage Rate into an Annual Percentage Yield as well as calculate a CAGR Calculator.